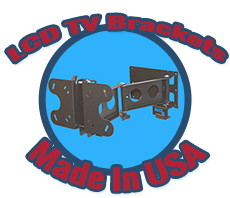 Get TV brackets and metal panels that are already formed according to your blueprint from Max-Q Metal Products, Inc. Our company is armed with first-rate deformation processes that can stretch any sheet metal to complicated contours or bend it many times to any angle. We make sure to apply all your detailed instructions into customizing our metal sheets. 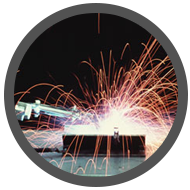 Find out more about our sheet metal fabrication processes. Learn About Max-Q Metal Products, Inc.
Get sheet metal parts needed for your business from Max-Q Metal Products, Inc. in Ontario, California. We are a sheet metal fabrication company that can form and cut these materials into a wide range of desired shapes to serve your purposes. Our company has been in operation for more than 15 years and has been incorporated for more than 10 years. Max-Q Metal Products, Inc. sells sheet metal parts to Original Equipment Manufacturers (OEM) and makers of parts for motorhomes. Our company is now offering products directly to individuals like you. We provide bulk prices that already cover shipping expenses, too. In consideration to our consumers, we offer a warranty for any manufacturer's defects in addition to the typical factory warranty. This covers possible imperfections in our materials and workmanship. Monday - Friday: 6:30 a.m. - 3:00 p.m.